Obsessed with design, fabrics, dyeing, sewing and made. 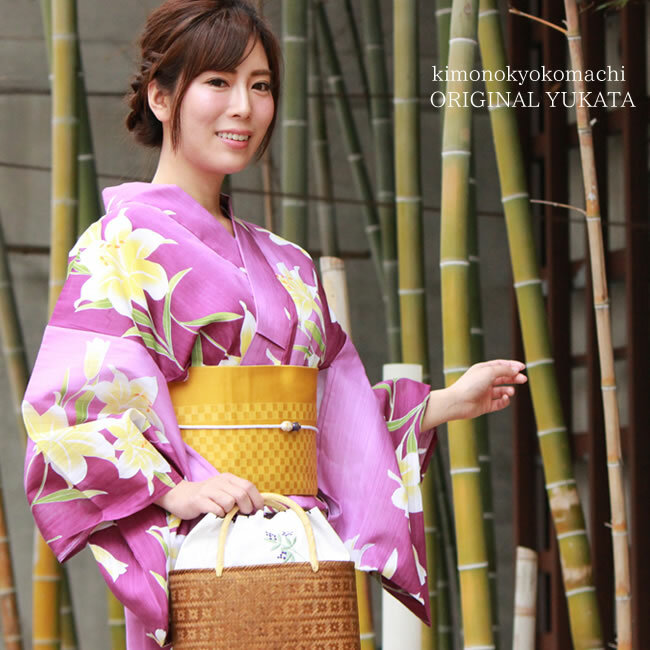 Available only here "kimono Kyo Komachi original yukata. Take a look at sure comfort. Fireworks, festivals, dating and friends was over! Yukata to wear there a lot. 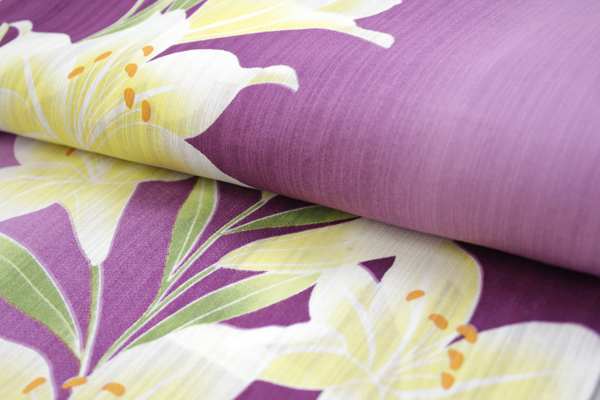 Change is of 100% cotton, soft weave fabric with a lightly. Worn casually like one piece, easy to launder. In the second and third wash refill your advice is. 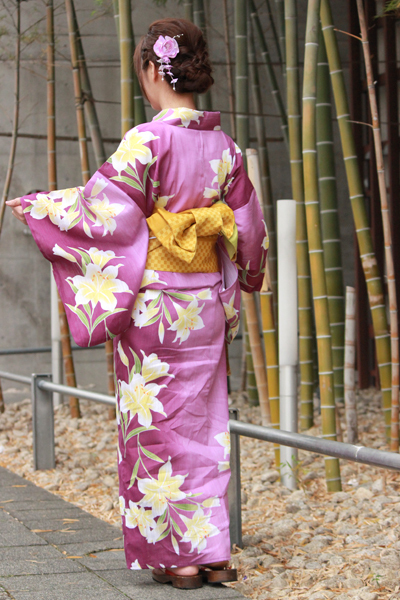 Enjoy the stylish yukata in summer. 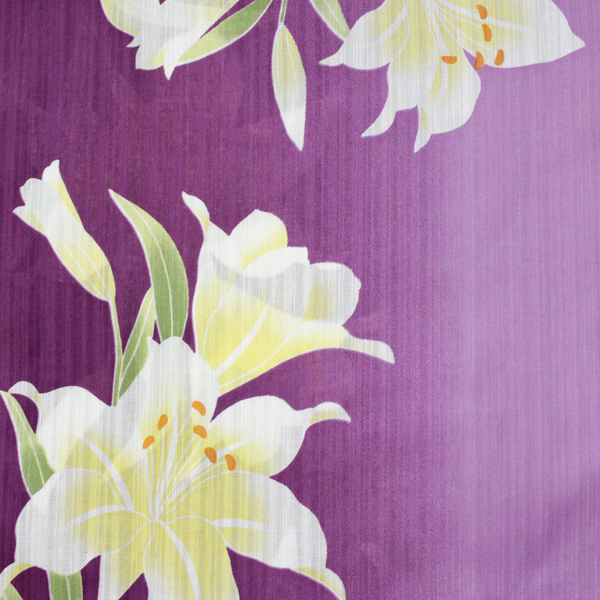 Colors and patterns In gradient purple shades of lily flowers are drawn to cute. 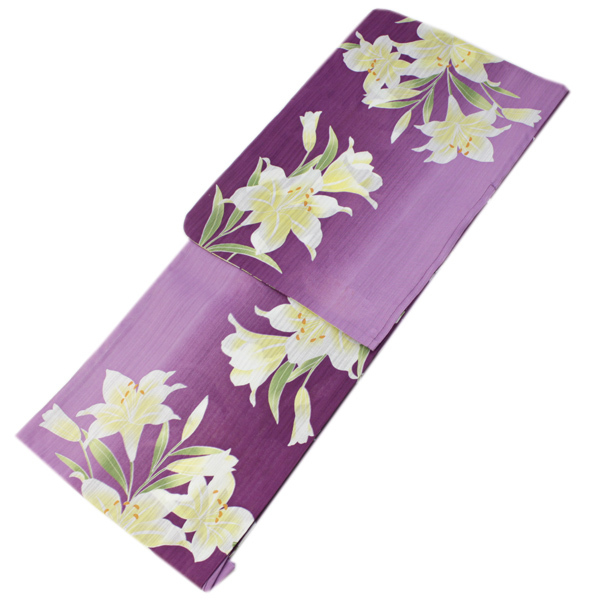 Without solid-coloured background, put a feather in autumn, with a blur of yellow blossoms of the lily. If the pattern is different from the photos. Please be forewarned. 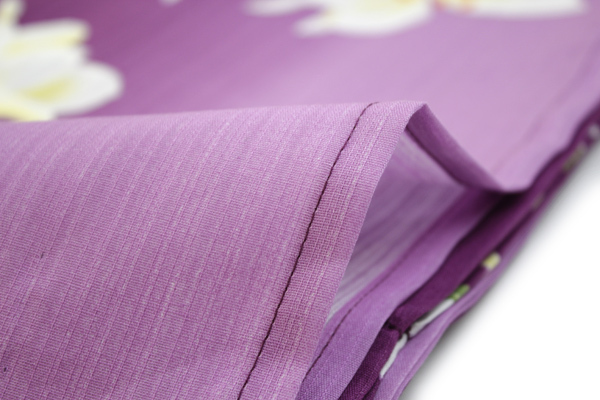 * Is a fabric woven with threads of different thickness unevenness. It is worn without hesitation, sticks to the skin. * See figure below refer to kimono sleeve length and sleeve length. * Sleeve length is the length of the hand. Arms angled down to 45 degrees, measured up to the muzzles of the wrist from the muzzles of the back of the neck. ◆ in his many accessory to coordinate and wants to!